seawapa.co: Another Meaningless Gesture: House Has Enough Votes to Impeach Obama…AND? Critical thinkers and those people who don’t get the majority of their news from the mainstream media are well aware by now that Obama’s actions up to this point in America’s history have been worthy of impeachment for years now. Yet he continues to completely ignore the US Constitution. 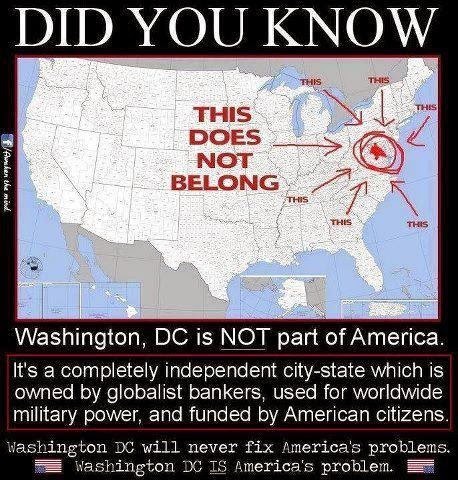 Of course, Washington D.C. is an independent State. And he continues to do so right in Congress’ collective face — as if even the ones who will openly admit Obama’s actions are in contempt of this country are all hostages in some backwoods basement somewhere tied to chairs without the ability to do anything about it but watch in horror as each new day passes. Buzzfeed posted audio of the exchange online Monday. Just before Barletta’s remark, Sutton was talking about immigration. This sort of thing has been popping up like clockwork every few months for years now as well. While headlines about Obama’s impeachment sound just swell — after all, anyone paying the attention who knows even a little bit about the Constitution could easily rattle off multiple instances that have made Obama worthy of impeachment proceedings at this point — the truth is, there will be no impeachment. Not even when The Washington Post also tells you that if the Democrats lose the Senate, Obama will be impeached. That’s right. No impeachment. No one is going to impeach Obama. Not today. Not tomorrow. Not ever. You heard me. It’s just not going to happen. The system of checks and balances — an integral part of the Constitution of the United States of America (not the Constitution for the United States of America) that allows each of the three branches of government (The US Corporations, the Empire) to limit the powers of the others (thus keeping them “in check”) — can no longer possibly be applied in Obama’s case, and thus, it simply no longer exists in this country. Obama is not the President of the Sovereign United States of America, Obama is the President of the UNITED CORPORATION of America, big difference. How can I so easily say that? Trust me, it isn’t easy, but it is the truth. President Obama will not be impeached. Is President Obama a failed leader? Absolutely. Is he lazy? Of course. Is he a bully who abuses his power? Most definitely. Has he lied about everything from the effects of his signature policies to scandals more serious than those of Bill Clinton and Richard Nixon combined? With zero doubt. For those screaming about impeachment, ask a simple question. What prosecutor in their right mind brings a proceeding against a defendant when the chance of acquittal is 100% and the chance of conviction is zero percent? Even if every Republican Senator we have stood on principle (because, as we all know, if there’s anything all of our Senators are just bursting at the seams with, it’s principles), we would still need 12 Democrats willing to do it, too. …Yeah. Good luck with that. Go ahead and look out your window. Do you see any pigs flying out there? Has Hell frozen over yet? Because it would take at least that much for anyone keeping score to even waste their time getting their hopes up that Obama will be ousted from the Oval Office. In essence, President Obama can continue to sign executive orders until he gets a hand cramp, feign ignorance scandal after scandal, arm terrorists in other nations while actively campaigning to disarm American citizens at home, continue to “inform” Congress about his decisions to free Taliban terrorists from Guantanamo Bay after the fact and then “inform” Congress when he decides to send more troops to Iraq, continue to hand over more and more power to the international community (thus setting the precedent for all future presidents), all while he continues to use the Constitution as toilet paper, and in the meantime our borders can just get overrun with illegal immigrants with the ultimate goal of overwhelming the system…and our president will just faithfully continue his duties as puppet for the shareholders of The United States of America, Inc., business as usual. Because you can be sure, no matter what President Obama does at this point, no matter what new unconstitutional horror he unleashes upon America’s tomorrow, it can not and will not possibly effect him either way. It’s official. The system is completely broken. President Obama is above the law.